During the 36 days I have invested into Fitness Boxing, I have had some highs and lows. I gained weight when others had lost it, I stepped up the amount of time I spent with the game each workout and started to just workout every day and positive results were denied to me. Quite frankly, the game put me on a downer, but last week things got turned around. Coupled with working and doing what I could when I got home, I was able to lose the kilo I gained and having repeated my actions during the last seven days, I can happily confirm that I have lost another kilo and when I weighed myself, it was after I had dinner and today’s workout. So, just what is the winning combo for me? Well, it’s working in construction between 8 and 10 hours a day, being a labourer (Cough! Dogsbody! Cough) and then doing around 90 minutes to 2 hours a day of working out. 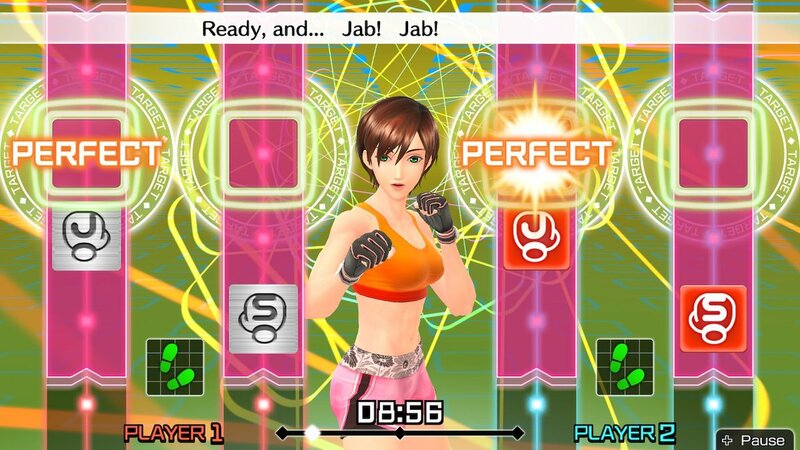 Purely arms and chest work though, as I’m all about getting the punches in, just so I can unlock the costumes sooner. Entry #5: Five More—Let’s Go!